Hillary Rodham at Wellesley College. 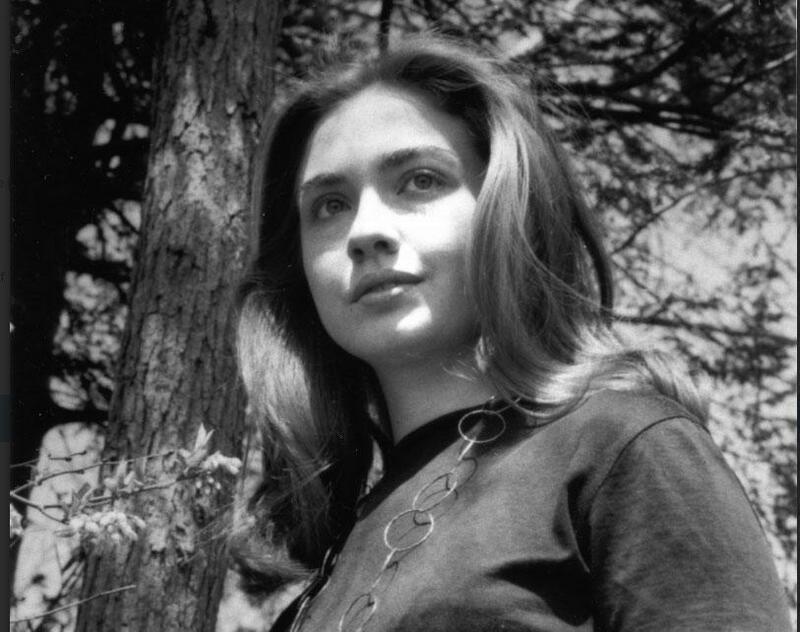 For the first time, audio of Hillary Clinton’s 1969 Wellesley College commencement address is available online — at least, parts of it. On Monday, the presumptive Democratic nominee’s alma mater released a four-minute compilation of audio excerpts from the speech. Then known as Hillary Rodham, she spoke on idealism and pragmatism in politics, as well as the ability of her classmates to take action for themselves. “[W]e feel that for too long our leaders have viewed politics as the art of the possible. And the challenge now is to practice politics as the art of making what appears to be impossible possible,” she said in the speech, a transcript of which the college had previously released. According to an Associated Press count, Clinton has captured enough delegates to clinch the Democratic nomination. Five states, including California and New Jersey, will hold votes on Tuesday. Clinton maintains some ties to the Bay State. She won the state’s primary with just over 50 percent of the vote in March. Last week, she held a fund-raiser in Boston . A look at Hillary Rodham Clinton’s years at Wellesley College. 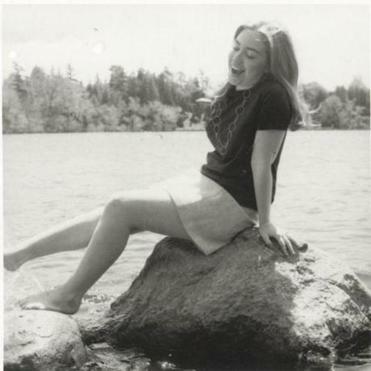 In 1969, Clinton was selected by her classmates as Wellesley’s first student commencement speaker. She was a campus activist who studied political science and, for a short time, was president of the Young Republicans club. Though the college will not officially support any presidential candidate, Clinton has gained favor with members of Wellesley’s board of trustees, 20 percent of whom, as of late November, had written checks to Clinton’s campaign. But this spring Wellesley students appeared divided in their support for Clinton and her opponent in the Democratic primary, Senator Bernie Sanders of Vermont. Meg Bernhard can be reached at meg.bernhard@globe.com. Follow her on Twitter @meg_bernhard.